The logo is something future clients will see before ever hearing your elevator speech… it is what sets you apart from your competition. A “bad” logo can deter clients away but a well-designed logo will grasp their attention. You know the cliche phrase '“don’t judge a book by its cover” … well let’s be honest, they will be judging your logo/brand from the start. Essentially, your logo is the “face” of your brand - it can draw your clients in or it can turn them away. I want to help you create a brand that will help your business to prosper. I truly believe that having a cohesive brand for your business is the key to booking clients. 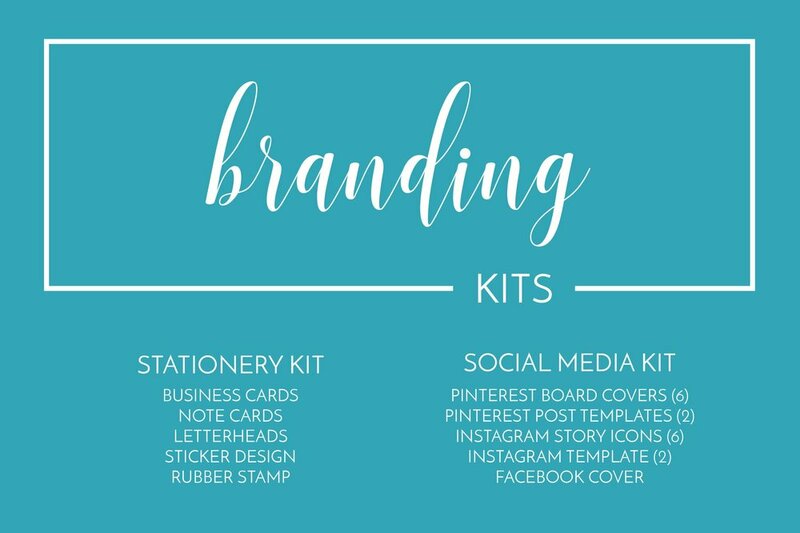 If you are wanting more for your brand, you can add a “branding kit” or two to make your brand complete! Everything will be digital but I am more than happy to provide you the physical goods as well! Let’s get the design process underway so your clients can experience your brand!